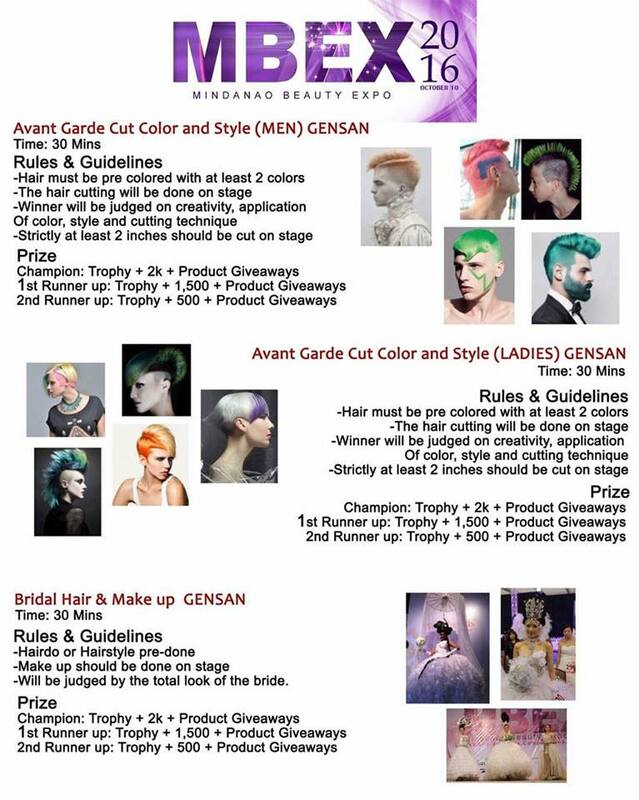 Here's to all hair and make-up artists, salon owners and beauty professionals in South Cotabato, General Santos City and neighboring places - the Mindanao Beauty Expo 2016 or MBEX is coming to Gensan this September 26. 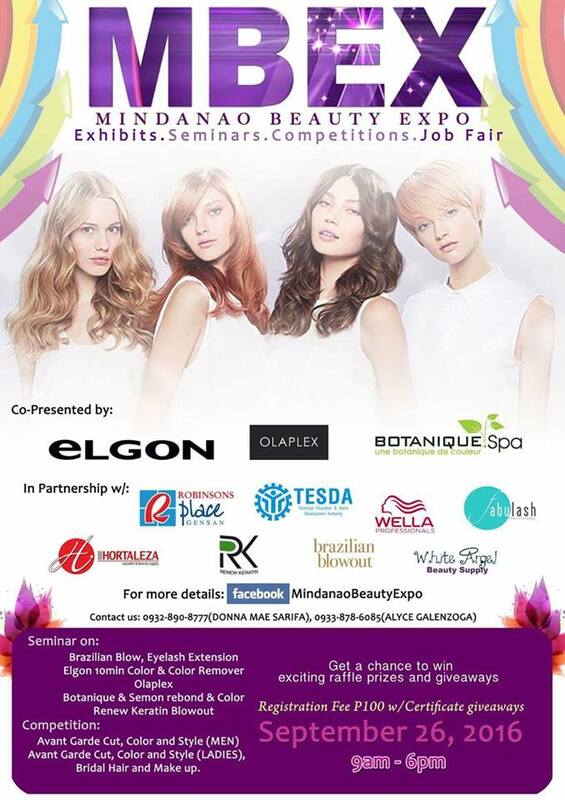 To be held at Robinsons Place Gensan from 9AM- 6PM, the event will have seminars on the latest trends in beauty industry, exhibitions, and hair and make-up competitions. See the following posters below for more details.